The GCC countries have a vital spot in the world economy, which most of them from the largest top-ten countries that have substantiated reserved of oil and gas. They control about 40% of the known oil reserves across the globe and 23% of proven natural gas reserves. Oil and gas production in GCC countries contributes, averagely 47% to their GDP. Ob the other hand, oil refinery as well as chemical and petrochemical industry contributes in approximately 10% of the GDP of GCC countries. Polyethylene and polypropylene are the major polyolefin or polymers produced in GCC, 57.6% from the total production is polyethylene and 27.9% from the total production is polypropylene in 2016. By 2019, over 5.7 million tons will be added to the existing polymer capacity. Furthermore, 16 new polymers, with capacity of 2.7 million tons, will be produced in GCC by 2019. Overall GCC polymer market represents more than one third of total chemical industry (36%). In 2016, polymer market in GCC were estimated at USD 33-34 billion, up from USD 28.7 billion 2015. Goldstein Research analyst forecasts GCC polyolefin industry to grow at a CAGR of 9.1% over the forecast period, as investments by the new and existing market players in the region is expected to upsurge in coming years to cater the huge demand in construction and FMCG industry. Based on product type, polyethylene accounted for the lion share of more than 67% of total polyolefin production in GCC. On the other hand, polypropylene is expected to grow at a CAGR of 11.0% during the forecast period. Based on geography, Saudi Arabia region harnessed largest revenue share of more than 65.8% in 2017 of the GCC polyolefin market, while the UAE enjoyed the highest growth rate, expanding by 24% per annum during the past decade. Owing to this significant growth, the UAE’s share in the GCC polyolefin industry has increased by 12% over the past decade reaching 18% in 2016. The report covers the present ground scenario and the future growth prospects of the Polyolefin market for 2017-2025 along with the market players’ analysis. We calculated the market size and revenue share on the basis of revenue generated from major players in the Global region. GCC Polyolefin Market Outlook 2017-2025, has been prepared based on an in-depth market analysis from farm market experts. The report covers the competitive landscape and current position of major players in the GCC polyolefin market space. The report also includes porter’s five force model, SWOT analysis, company profiling, business strategies of market players and their business models. “GCC Polyolefin Market Report” also recognizes value chain analysis to understand the cost differentiation, pricing models to provide competitive advantage to the existing and new entry players. 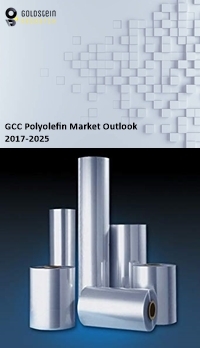 Our GCC Polyolefin market report comprises of the following companies as the key players: Saudi Arabia Basic Industries Corporation, Braskem SA, BASF SE, The Dow Chemical Company, Bayer AG, LyondellBasell Industries, ExxonMobil Corporation, Ineos Group AG, Arkema S.A. and DuPont etc.